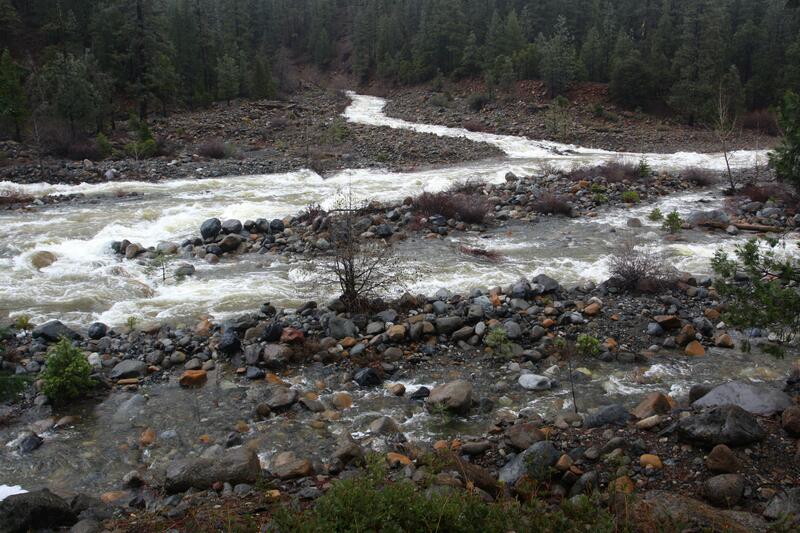 The North Fork joins a raging Sacramento River. The storms passing through the Mount Shasta area have dropped a substantial amount of precipitation. I am not sure exactly how many inches have fallen but the weather has not been too cold so while the significantly higher elevations have seen some snow, the mid-elevation areas had considerable rain which melted the snow that had fallen earlier. Consequently, the rivers and creeks are absolutely engorged right now. I had a little spare time today so I headed out to check on the rivers myself. My first stop was the Shasta River. Where I checked it was not that far from its headwaters but the river had already picked up big head of steam and was racing off to the north. Typically the river is not too large when it passes through Edgewood but today it was impressively large and split into numerous channels. Lake Shastina is get a much-needed bolus. 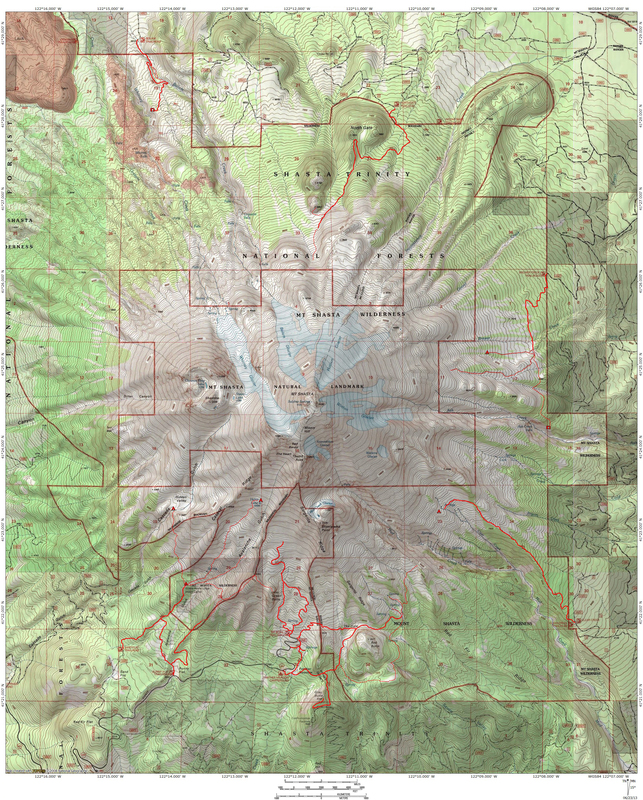 I can only imagine how awesome it must be to see the river downstream in the Shasta River Canyon, after it has picked up its major tributaries, including Parks Creek, Big Springs Creek and the Little Shasta River. Other areas along the river proved equally impressive. Much less water has produced significant changes to the river’s course and topography (see example here, here, here and here). 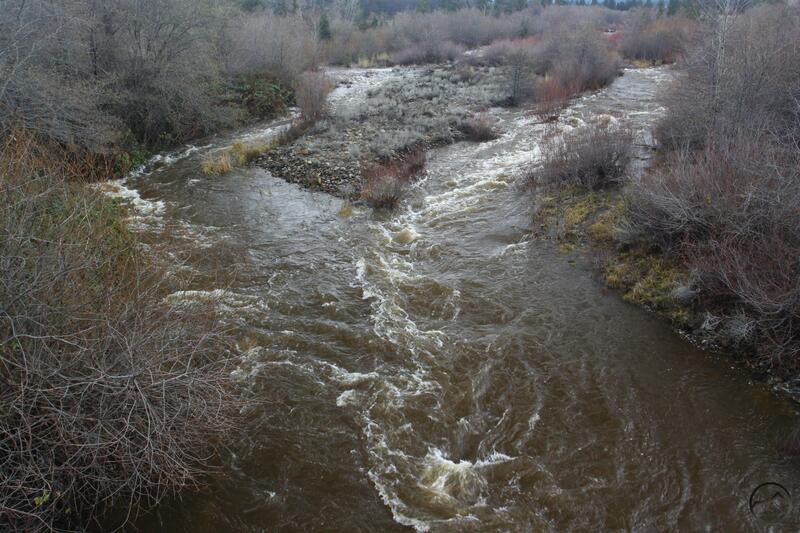 It will be interesting to see how much change this incredible flow will yield. In the meantime, until the water subsides, it is an incredible sight to behold. The day after I posted these images the skies cleared and I returned to the river to check on the conditions again. The water level, though still quite full, had dropped significantly. 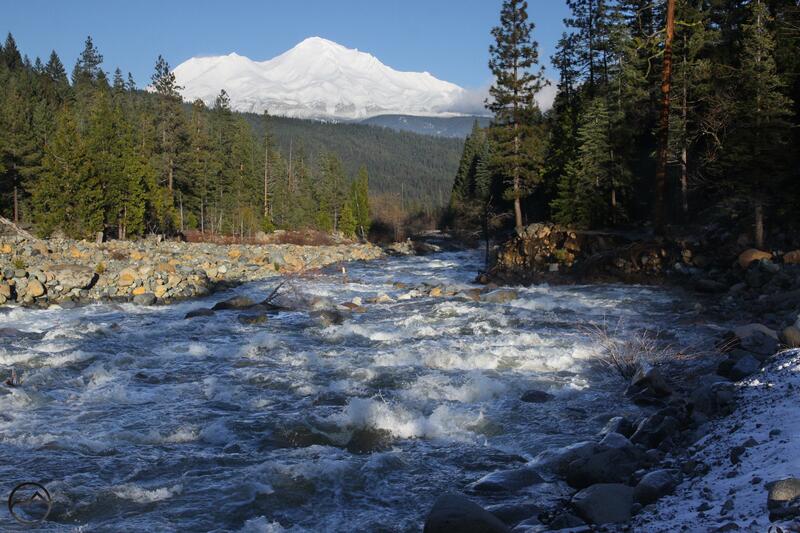 I was able to capture a shot of the wild river with Mount Shasta in the distance. Saw the Sacramento (and American) in Sacramento yesterday. Big and brown.